The family will greet friends starting at 12 noon. Born on May 24, 1933 in Owosso, Michigan to parents, Lester J. and Anna M. (Sabo) Holmes. Attended schools in Owosso, MI. In 1953 he married Carol A. Rust in Owosso where they made their home until retirement to Elk Rapids, MI. He worked at Midland-Ross in Owosso for many years before being self-employed as a construction contractor. Jack and Carol also owned a Bed and Breakfast, Mulberry House on North Shiawassee Street. While in Owosso, Jack was a member of Salem Lutheran Church. After retiring to Elk Rapids, he became a member of Grace Lutheran Church in Elk Rapids, where he played a lead role in constructing a new sanctuary and narthex. 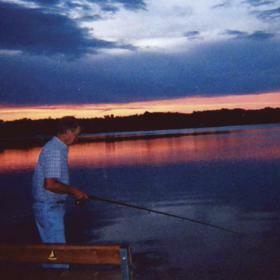 Jack loved to be working outdoors in the garden and around the house, or fishing off the dock on Bass Lake. Among his other hobbies were wood carving, jig saw puzzles, and watching the Tigers and Lions. Surviving are: Son, Jon L. Holmes and wife Susan Valentine, grandchildren Mark of Minneapolis, MN and Allison of Madison, WI; daughter, Joni and husband Donald Forster of Owosso, MI, grandchildren, Sarah (Forster) and husband Andrew Forney of Milford, MI and Thomas Forster of Findlay, OH. Also surviving are several nieces and nephews whom he also dearly loved. 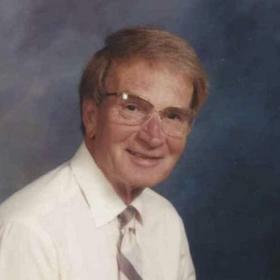 Jack was preceded in death by his beloved wife, Carol (Rust) and beloved son Chris Holmes, Owosso MI. The memorial service will be held at Grace Lutheran Church at 1:00 pm on Saturday, October 7th, with a luncheon following in fellowship hall. Internment will be at Oak Hill Cemetery in Owosso, Michigan.